New Eezy Gro, Inc. (“New Eezy Gro”) is a leading manufacturer of chemicals sold to the agricultural, construction, and industrial markets. MelCap Partners acted as the sell side advisor to New Eezy Gro. 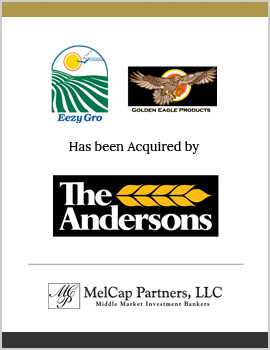 New Eezy Gro was successfully sold to The Andersons, Inc., a strategic buyer located in Maumee, Ohio.